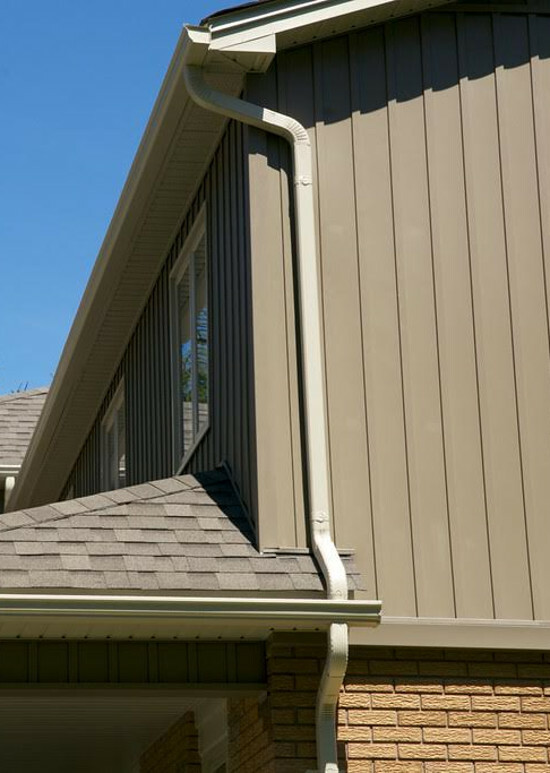 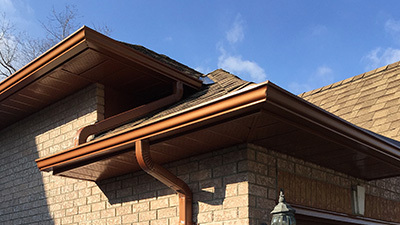 Our seamless aluminum Eavestrough eliminates unsightly joints to prevent leakage and offers low maintenance durability to provide long service life for managing your home's rainwater. 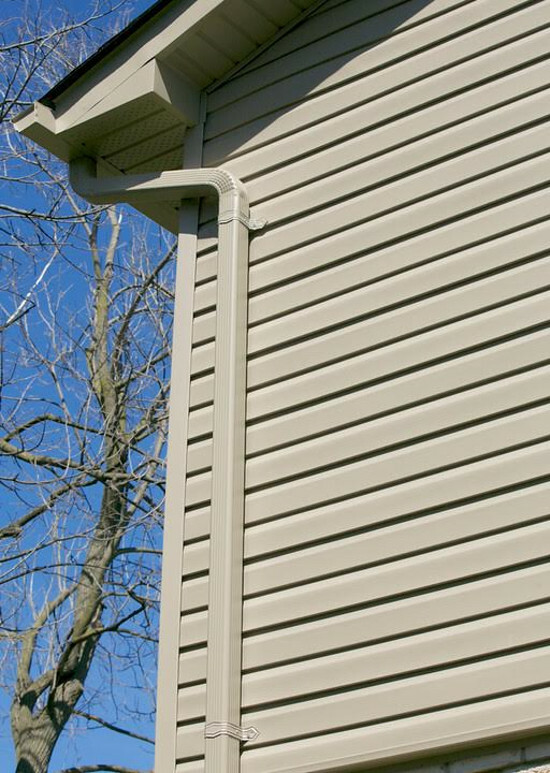 Aluminum Eavestrough will not rust or corrode and is pre-finished in a wide variety of baked enamel colours to match any home exterior. 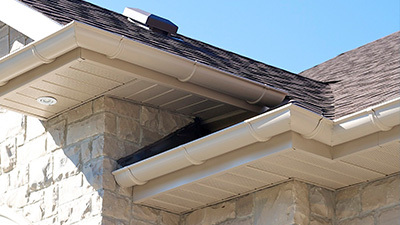 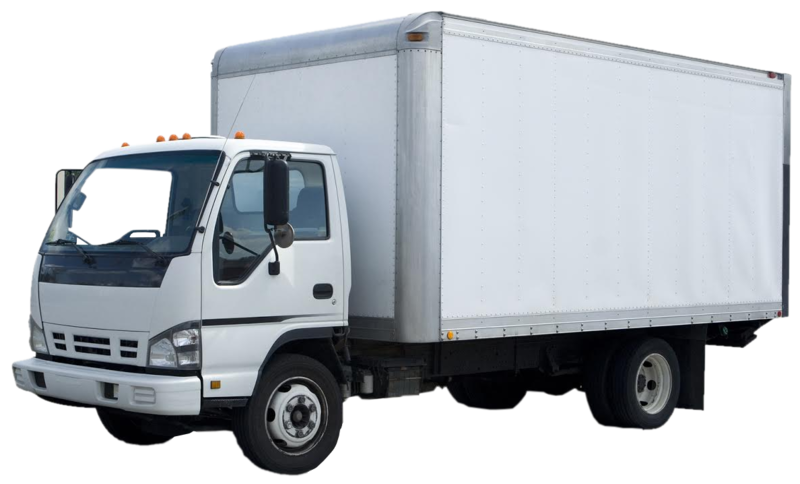 Roussel's seamless Eavestrough is roll formed (Video click here) on site and attached with concealed premium grade screw-in hanger brackets. 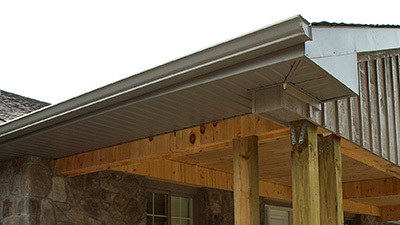 Half round seamless Eavestrough is a perfect choice if you are looking for a modern look and artistic curb appeal. 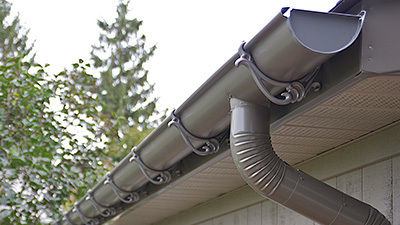 With a variety of different hangers to choose from, half round gutters can be hung from the back or around the bottom and front face with circular under mount hangers. 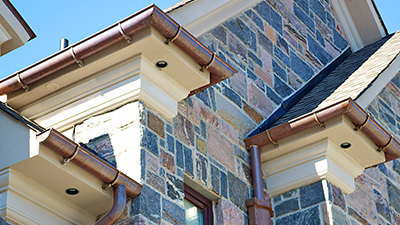 Copper Eavestrough has become more popular due to its historic beauty, personal touch and is a desirable complement for slate and cedar roof systems. 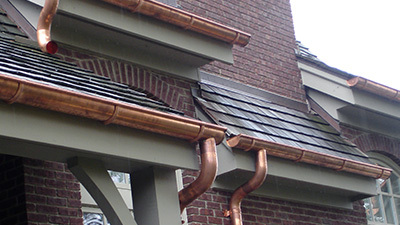 Available in 5", 6" K STYLE and 6" HALF ROUND, copper Eavestrough is attached with hidden screw-in brackets or designer under mount hangers depending on the trough style.